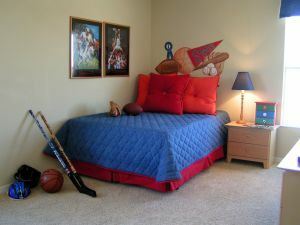 Are You Ready To Transform Your Child’s Bedroom? Somewhere there is a child who is falling to sleep in a replica of the Millennium Falcon from Star Wars. This is a specially designed bed that puts a child right in the cockpit. Obviously, this is a bed for diehard fans. There are probably a lot of grown-ups who wish they could fit into the bed! It is also the kind of bed that works great for a bunch of years but eventually the child is going to outgrow it. The same can be said for beds shaped like racecars or ones with frilly Princess canopies. If this is the summer when your child is making the transition into the teenage years, then they’re going to want to put all that “childish” stuff away. This is where Junk King Denver can be a huge help. One call to these professional junk haulers and you’ll be able to help transform your kid’s bedroom in no time at all. It’s easy to decide about swapping out furniture but the decluttering shouldn’t stop there. You’ll want your teen to go through their closets and dresser to pull out all the clothes that they are no longer going to wear. There could also be a lot of toys, books and other items that might not be appropriate for them. Although it might be hard to say goodbye to some of these things, most of them can find a new lease on life especially when you hire Junk King Denver to take it all away. That’s because Junk King Denver has developed strong partnerships with many charities throughout the Denver area. The crews have all been trained to spot those items that would be a benefit to those organizations. In many cases, a charity actually employs several people to fix appliances and reupholster furniture. That means your donations are helping keep people employed. That should make you feel good about getting rid of a lot of stuff! As long as you’re clearing out all the toddler stuff from a bedroom, you might also want to have Junk King take down the swing set or sandbox in the backyard. It can all be loaded up on the truck in the same appointment. When you’re ready to set up your appointment to transform your home into a junk free zone Junk King Denver will be ready for you. This entry was posted in junk removal and tagged child's bedroom, clutter, Junk King, junk removal on July 30, 2016 by Paul Durant. Last updated August 15, 2017 . There are many types of businesses that you could start from home. These could be strictly computer-based businesses such as web design or accounting. They could also be service industries like pet walking or housecleaning that you use a home office to manager your various accounts. Of course, there have been many great inventions that were created in garages. What you need to begin is a plan and the space to get the job done. Junk King Denver can’t help with the business plan but they can certainly help get your home office space ready. Junk King is a national chain of professional junk removal franchises. Everywhere that a new Junk King branch opens up it quickly becomes that areas leading junk removal company. Denver has been no exception for Junk King! That is because Junk King provides the perfect business model for this type of service. It starts with hiring the right types of crews for junk removal. That might not seem like a complicated task but for Junk King those crews have to be able be licensed, bonded and insured. They also have to have the right friendly attitude. One look at all the rave reviews posted by Junk King customers and you’ll see that “friendly” and “courteous” are the two words most often used to describe these crews. So what can they do for you? You’ll be assigned at least two of these capable movers for your task. This is the team who is literally going to do all the lifting and loading for you. It doesn’t matter if they have to bring something down from upstairs or up from the basement. It doesn’t matter if something is heavy or needs to be taken apart first. The only thing that matters to Junk King Denver is that you get everything you want taken away in a single session. 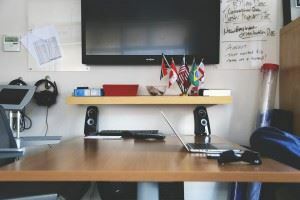 As for your home office space, you’ll find that once Junk King Denver has work their magic you’ll have plenty of space to bring in a desk, file cabinets and shelves to set up your work environment. The sooner you hire Junk King Denver to clear out your office space the sooner you can get your home business up and running. This entry was posted in Denver Junk Removal and tagged clutter, home business, Junk King, junk removal on July 21, 2016 by Paul Durant. Last updated August 1, 2017 .